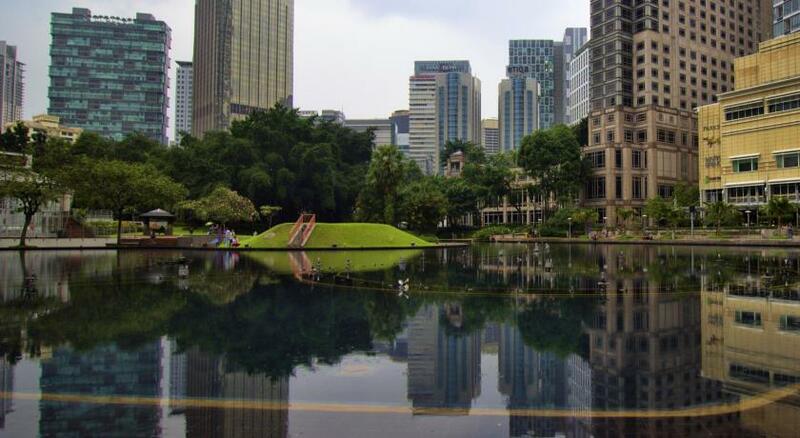 Lock in a great price for Grand Hyatt Kuala Lumpur – rated 9.3 by recent guests! Everything 😊 Very professional and kind staff. Clean and tidy. Comfortable. Close to everything. The staff are always smiling and helpful they make you feel like you are the only guest they have, the breakfast was very good, the view from reception’s floor was amazing, very very clean room, take a high floor and enjoy with the sunshine. Everything. Staff is superb always smiling and polite. Room is perfectly clean and comfortable. Location is great. Staff are friendly and helpful. Location is perfect and convenient. Proximity and well design. The hotel staff were very accommodating and just delightful on every interaction. I thought the location of the Grand Hyatt was very convenient. It was a close walk to all spots that we wanted to check out. 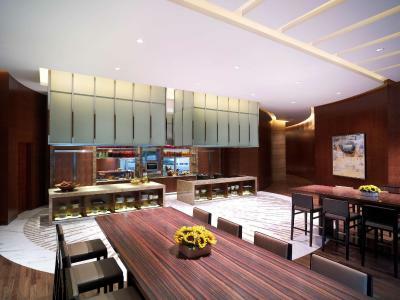 Grand Hyatt Kuala Lumpur This rating is a reflection of how the property compares to the industry standard when it comes to price, facilities and services available. It's based on a self-evaluation by the property. Use this rating to help choose your stay! 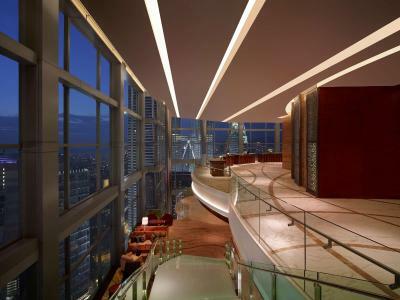 The luxurious 5-star Grand Hyatt Kuala Lumpur is located just next to the Kuala Lumpur Convention Center (KLCC). 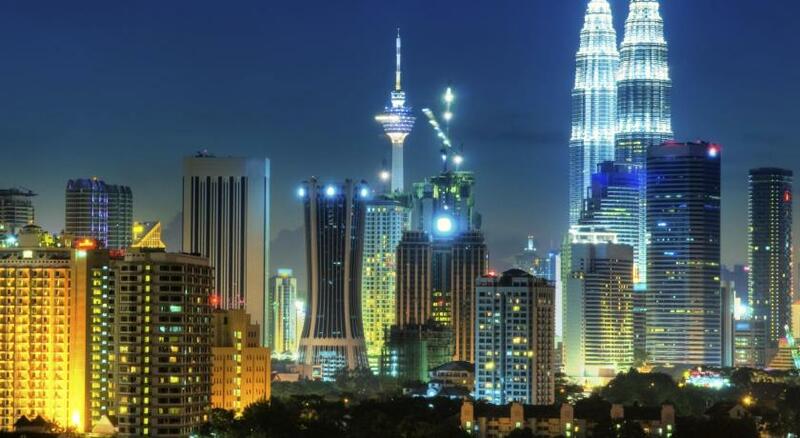 The hotel features an outdoor swimming pool and guests can enjoy meals at 3 in-house restaurants available or have a drink at the bar overlooking the Petronas Twin Towers. Free WiFi is available throughout the property. Through floor-to-ceiling windows, views of the park and city can be enjoyed from the room. A coffee machine and 42-inch flat-screen TV are included. 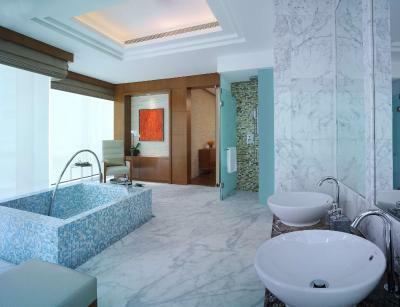 Private bathrooms have a bathtub and 24-hour hot-water showers. 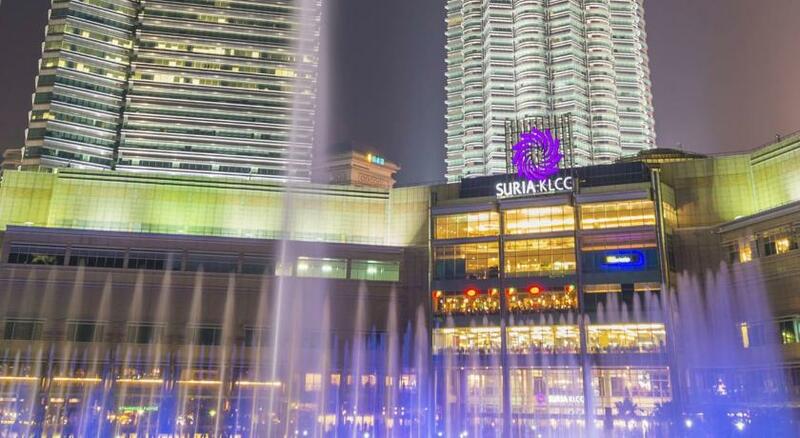 It is 1,300 feet to Pavilion Shopping Mall and 1,650 feet to Petronas Twin Towers. 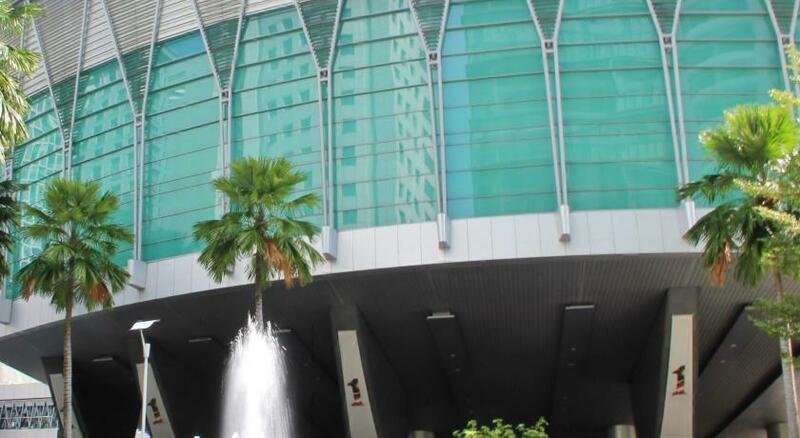 It is a 10-minute drive from the Malaysian Philharmonic Orchestra. Kuala Lumpur International Airport is 43 mi away. Airport transfers can be arranged at an extra charge. 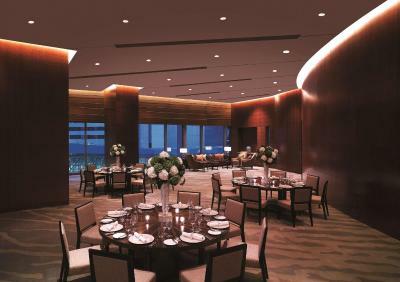 Dine at the hotel's signature restaurant, THIRTY8, which offers a selection of Chinese, Japanese and Western cuisines. JP teers features a cozy indoor dining area and a large outdoor terrace with an island bar surrounded by lush green landscape. A glasshouse by the swimming pool and features al fresco setting, Poolhouse offers all-day dining with serves local and international favorites. Guests can approach the 24-hour front desk for currency exchange, concierge services and luggage storage. 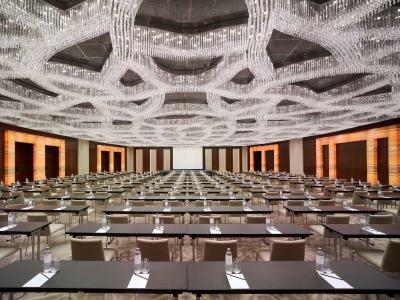 To meet guests' professional needs, the hotel has a business center and fully equipped meeting rooms. 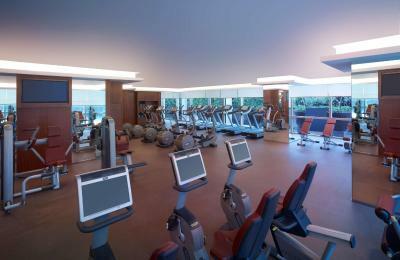 A 24-hour fitness center is available. 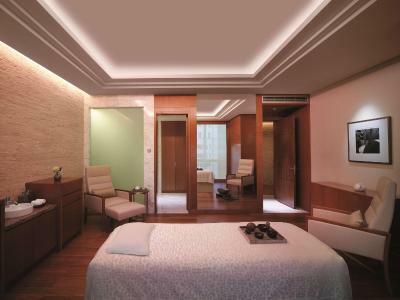 Alternatively, guests can indulge in a variety of spa treatments at Essa Spa. 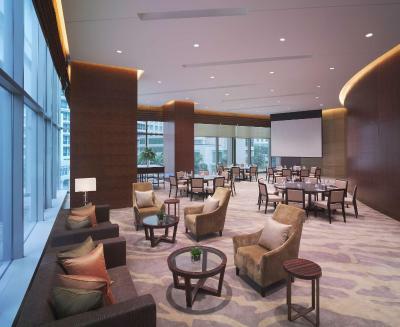 When would you like to stay at Grand Hyatt Kuala Lumpur? Overlooking views of the Petronas Twin Towers through floor-to-ceiling windows, this air-conditioned king room is fitted with a 42-inch flat-screen LED TV, work desk, mini-bar and a MP3 player. The private bathroom includes a rain shower and bathtub. Overlooking views of the garden through floor-to-ceiling windows, this air-conditioned king room is fitted with a 42-inch LED television and individual Wireless Access Point is provided. The private bathroom includes an LCG cube around the rain shower and bathtub that may be adjusted for privacy. 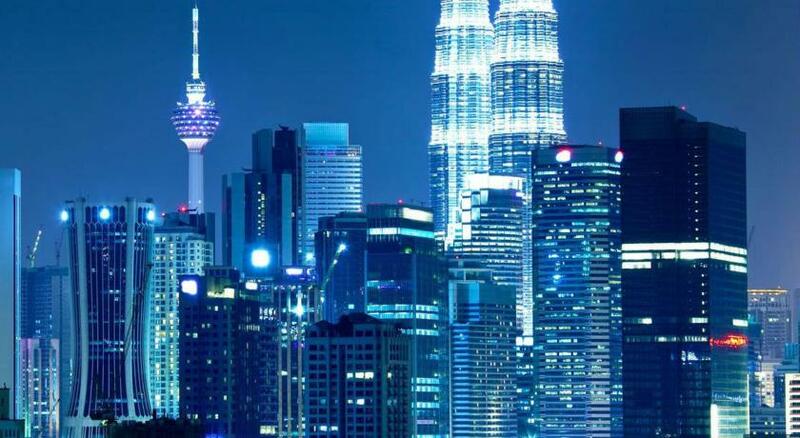 Overlooking views of the Petronas Twin Towers through floor-to-ceiling windows, this air-conditioned twin room is fitted with a 42-inch LED television and individual Wireless Access Point is provided. The private bathroom includes an LCG cube around the rain shower and bathtub that may be adjusted for privacy. 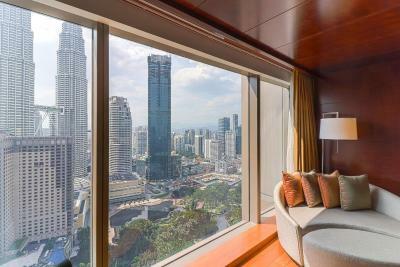 Overlooking views of the KLCC park through floor-to-ceiling windows, this air-conditioned king room is fitted with a 42-inch LED television and individual Wireless Access Point is provided. The private bathroom includes an LCG cube around the rain shower and bathtub that may be adjusted for privacy. A workstation is equipped with high-speed Internet access is provided. 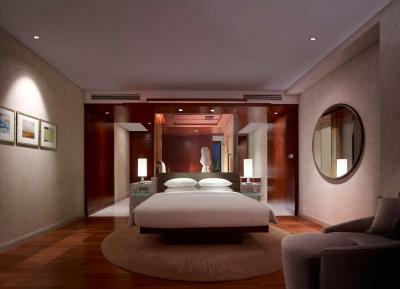 This air-conditioned king room is fitted with a 42-inch LED television and individual Wireless Access Point is provided. The private bathroom includes an LCG cube around the rain shower and bathtub that may be adjusted for privacy. A workstation is equipped with high-speed Internet access is provided. Overlooking views of the city through floor-to-ceiling windows, this air-conditioned twin room is fitted with a 42-inch flat-screen LED TV, work desk, mini-bar and a MP3 dock. Private bathroom has a shower and bathtub. 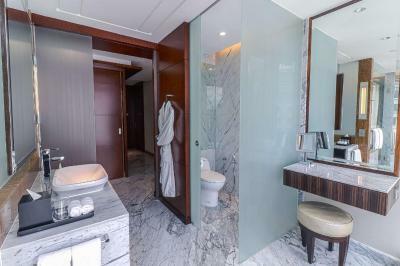 Overlooking views of the Petronas Twin Towers through floor-to-ceiling windows, this luxurious room comes with a 42-inch flat-screen LED TV, work desk, mini-bar and a MP3 dock. Private bathroom has a shower and bathtub. 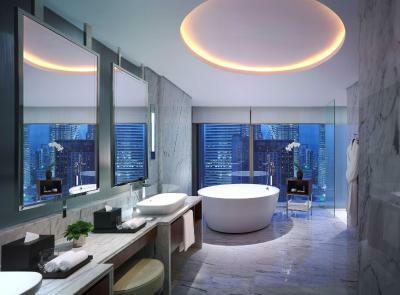 Overlooking the Petronas Twin Towers through floor-to-ceiling windows, this luxurious room comes with a 42-inch flat-screen LED TV, work desk, mini-bar and a MP3 dock. Private bathroom has a shower and bathtub. Overlooking views of the city or the Petronas Twin Towers through floor-to-ceiling windows, this spacious air-conditioned suite has a living room fitted with a 55-inch LED TV, a Nespresso coffeemaker and a working desk. There is a ten-seater dining table. The separate bedroom has two walk-in wardrobes and a 42-inch LED TV. 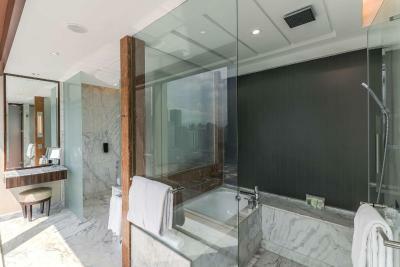 The private bathroom includes a rain shower, a separate bathtub and June Jacobs bath amenities. Ironing facilities are available. 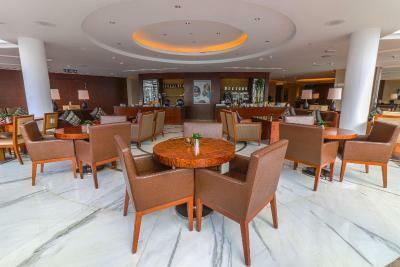 Guests enjoy access to the Grand Club Lounge and butler services. 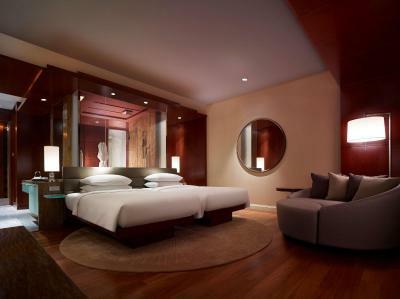 This air-conditioned king room has a seating area fitted with a 42-inch flat-screen LED TV, sofa, desk and a MP3 dock. The private bathroom has a bathtub and shower facilities. Overlooking views of the city, this air-conditioned suite has a living room fitted with two 42-inch flat-screen LED TV, a coffee machine and a working space. The private bathroom includes a hairdryer. Overlooking views of KLCC Park or the Petronas Twin Towers through floor-to-ceiling windows, this air-conditioned suite has a living room fitted with a 47-inch LED TV, a Nespresso coffeemaker and a working desk. There is a eight-seater dining table. The separate bedroom has two walk-in wardrobes and a 42-inch LED TV. The private bathroom features a Liquid Crystal Glass-enclosed cube consisting of a rain shower and a separate bathtub and includes June Jacobs bath amenities. Ironing facilities are available. Guests enjoy access to the Grand Club Lounge and butler services. Overlooking views of the Petronas Twin Towers, this air-conditioned suite has a living room fitted with two 42-inch flat-screen LED TV, a coffee machine and a working space. The private bathroom includes a hairdryer. This air-conditioned king room opens up to views of the city center. It is fitted with a 42-inch LED television and individual Wireless Access Point is provided. The private bathroom includes an LCG cube around the rain shower and bathtub that may be adjusted for privacy. A workstation is equipped with high-speed Internet access is provided. This air-conditioned twin room opens up to views of the city center. It is fitted with a 42-inch LED television and individual Wireless Access Point is provided. The private bathroom includes an LCG cube around the rain shower and bathtub that may be adjusted for privacy. A workstation is equipped with high-speed Internet access is provided. 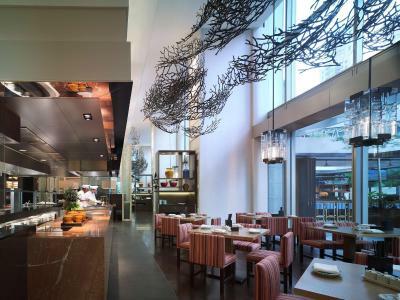 House Rules Grand Hyatt Kuala Lumpur takes special requests – add in the next step! Grand Hyatt Kuala Lumpur accepts these cards and reserves the right to temporarily hold an amount prior to arrival. Check in was on the top floor! There is no direct elevator from the room floor to the ground floor which is not convenient if you have a lots of luggage You have to walk 8-10mins to the latest shopping mall. There was a delay in check in due to room not got ready but they treated us for lunch sending there staff escorted. It’s a right way to take care of the guests. It could have been better if they accepted to decorate my room with flowers. I liked the luxury of the place. since I spent a night there as a celebration of my anniversary, I found what I needed. the dinner was romantic as well as the room. I loved it. The layout of the hotel kind of takes away from the experience in that the loby is accessed only after an elevator ride. The loby area lacks warmth and hospitality in general. The room was a decent size and clean and well catered for our stay. The beds were comfortable and the view over the city was lovely to have. great value for money, esp. if you get the Club Lounge access. Response from room service is slow for a 5* standard hotel. Tight security. 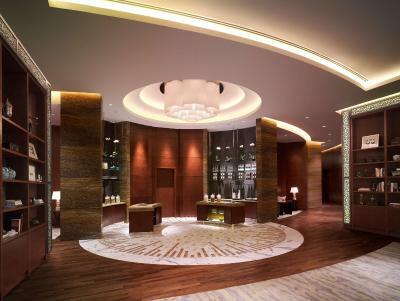 To access to the guest rooms, you need to go pass through the reception at level 39 and switch elevator. Elevators! OMG, what a waste of time to keep on switching from one to another?! I believe they should review the prices again! The hotel is nice, clean and the staff are friendly. However, it’s very costly! The hotel was so good we didn't leave it! Spent the day in the pool waiting to catch a flight. Staff were amazing, and the late checkout was the cherry on top!